i Click 'view all' to instantly compare this ok deal with offers on other top ink cartridges. 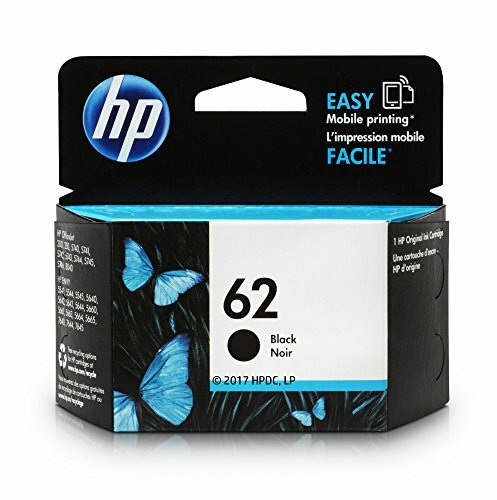 HP 62 Black Original Ink Cartridge is currently selling at $18.39, which is its normal price. It has a lowest price of $18.39 and is selling within its usual range. Price volatility is 0.15% (meaning it does not change often), so you might have to wait a while for the price to drop. Until then this is a recommended 'ok deal'. The current deal is also the best price on this item over the last month. 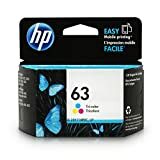 Compare the current price, savings (in dollars & percent) and Buy Ratings for the top Ink Cartridges that are closely related to HP 62 Black Original Ink Cartridge. Here is how HP 62 Black Original Ink Cartridge compares with other leading Ink Cartridges. Original HP 62 ink cartridge (C2P04AN) works with: HP 62 ink cartridge works with: HP ENVY 5540, 5541, 5542, 5543, 5544, 5545, 5547, 5548, 5549, 5640, 5642, 5643, 5644, 5660, 5661, 5663, 5664, 5665, 7643, 7640, 7644, 7645. HP Officejet 250, 258, 200, 5740, 5741, 5742, 5743, 5744, 5745, 5746, 8040. Bring home reliable performance for practically any project. Original HP ink cartridges are specially designed to work with your printer to consistently deliver standout results - throughout the life of your cartridge. Make an impact - get laser-quality documents with crisp text. Original HP pigment inks dry fast, resist water, and last for decades - so your prints maintain a sharp look over time FeaturesHP 62 ink cartridge yield (approx. ): 200 pages in blackHP ink cartridge for HP printers deliver high quality photos and documents.HP 62 ink cartridge works with the following printers:HP ENVY 5540, 5540, 5541, 5542, 5543, 5545, 5547, 5548, 5549, 5640, 5642, 5643, 5644, 5660, 5661, 5663, 5664, 5665, 7640, 7644, 7645.